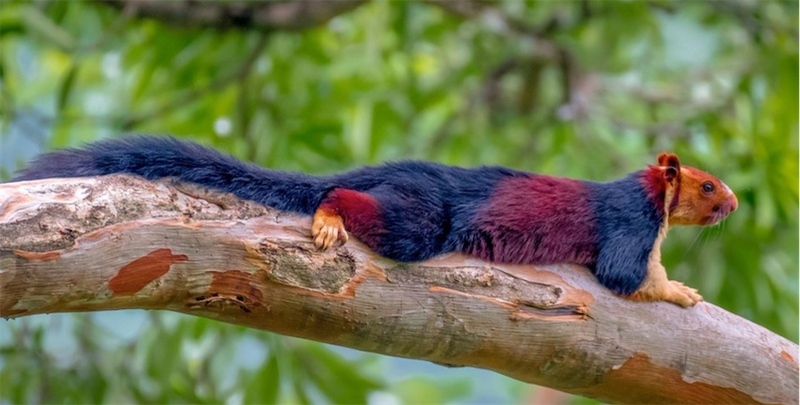 Photographer Kaushik Vijayan snapped beautiful shots of rainbow-colored Malabar giant squirrels in the Pathanamthitta District in Kerala, Southern India. "I felt so amazed by how drop-dead gorgeous it looked," he told CBS News. Now hold on there, pokey-boy. That cat has extremely cute white poofy paws. 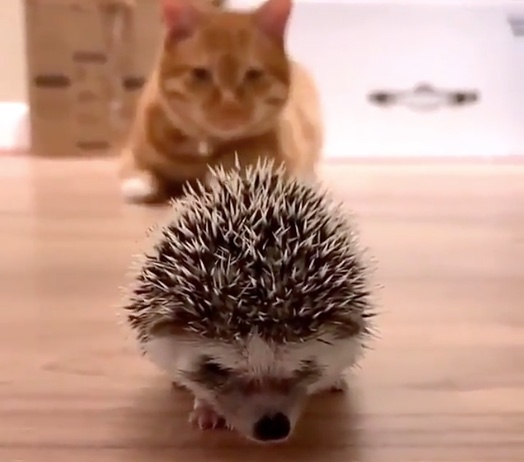 The hedgehog is proudly unperturbed. Brave little pokey-boy. A man working in an Aalen, Germany slaughterhouse was hospitalized with serious injuries last month after being kicked in the face by a cow. 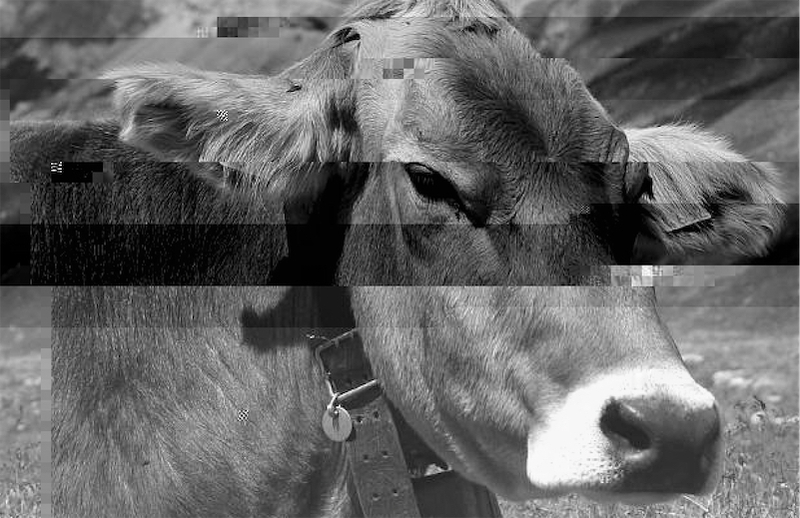 The curious thing is that the cow had already been "“killed according to regulations." It was hanging from a meathook when the attack occurred. According to the Associated Press, police reported that the kick was "due to a nerve impulse that experts say isn’t uncommon." The children who first found the rat also thanked the firefighters with a handmade, rat-themed thank you card. 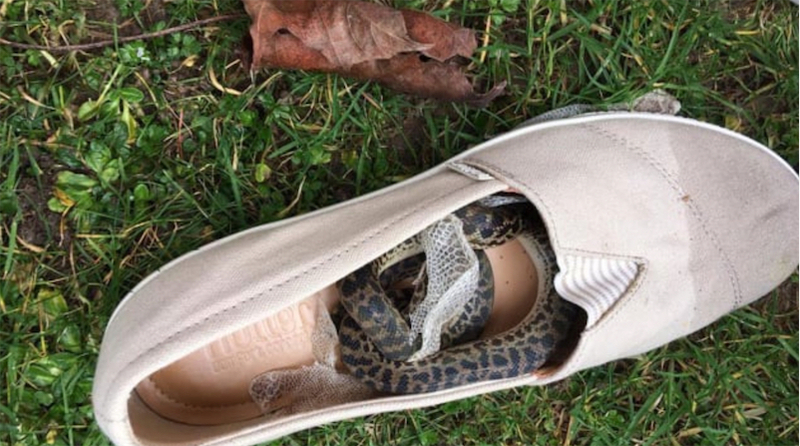 "I responded to a call from a woman who had just returned from a holiday in Australia who had found a small snake inside her shoe in her suitcase," animal rescue officer Taylor Johnstone said in a statement sent to CNN. 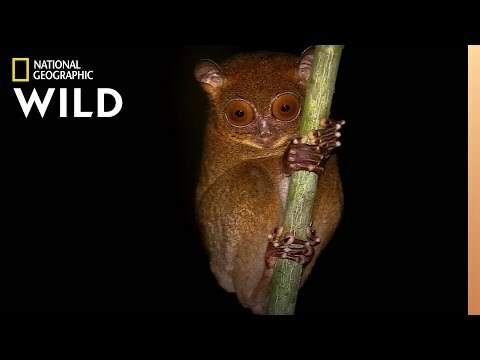 "Almost everyone has a story about seeing one, it's such a mythical thing," says Pilfold, of San Diego Zoo Global's Institute for Conservation Research. 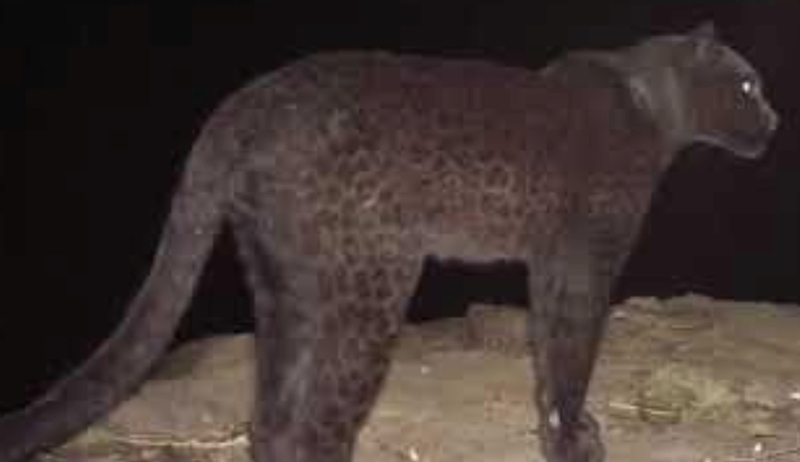 "Even when you talk to the older guys that were guides in Kenya many years ago, back when hunting was legal [in the 1950s and ‘60s], there was a known thing that you didn't hunt black leopards. If you saw them, you didn't take it..."
Pilfold adds it’s curious that the fictional country of Wakanda, home of the superhero Black Panther, is located in East Africa, fairly close to Kenya. "It's a unique coincidence," says Pilfold. "The only place where we have black leopards is where this place in the Marvel Universe appears to exist." A fellow who walked into an abandoned home in Houston, Texas to smoke weed was surprised to see a caged tiger in the garage. Fortunately, he called police. "We questioned them as to whether they were under the effects of the drugs or they actually saw a tiger," said Sgt. Jason Alderete of the Houston Police Department's Major Offenders, Livestock Animal Cruelty Unit. 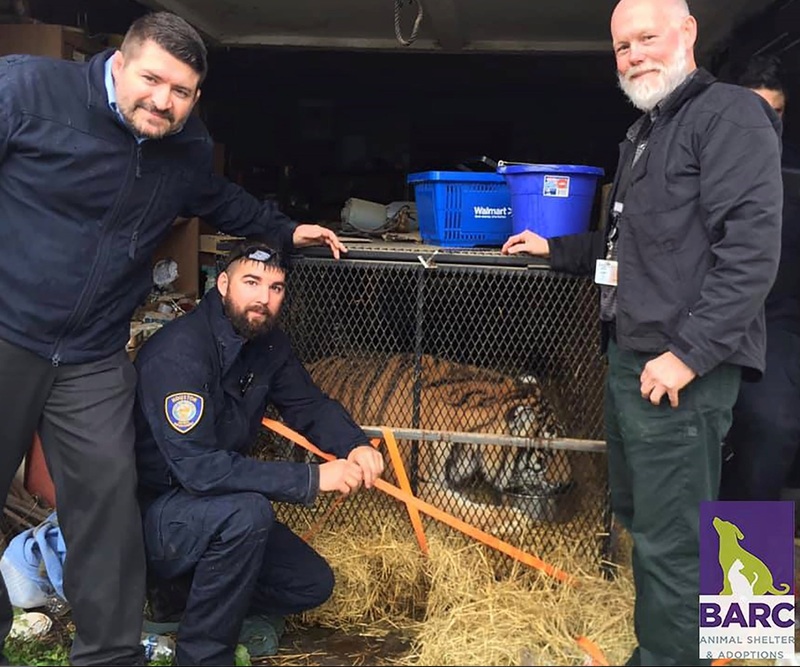 The tiger was found in a "rinky-dink" cage in the garage, which was not locked, police said. The garage was secured with a screwdriver and a nylon strap, according to police. "A pretty small cage inside basically a garage in a house that didn't look like it was in the best shape. So it was important that we get it out of that situation," Lara Cottingham, with the city of Houston, said. 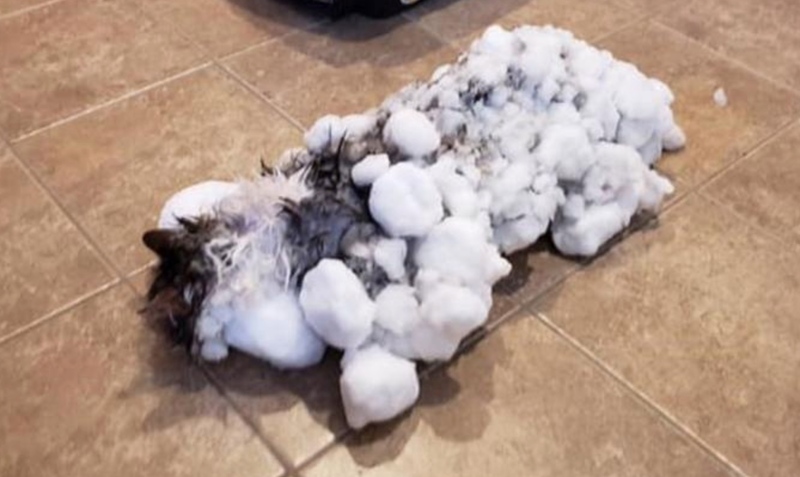 "She was essentially frozen," said Andrea Dutter, director of the Animal Clinic of Kalispell. RECORDS FEMALE CAT & HER 5 KITTENS AS MOTHER CAT APPROACHES LABOR, KITTENS ARE BORN & OBTAIN MILK & MOTHER CAT THEN CARES FOR THEM IN LEARNING & GROWING PROCESS, IN WHICH TOM CAT OCCASIONALLY PARTICIPATES. 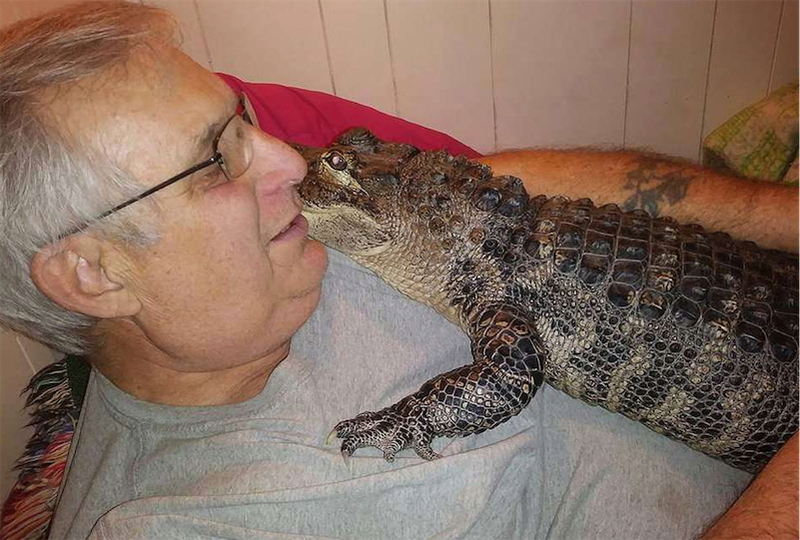 A man who answered an e-mail from a reporter about Wally from the web site Service Dog Registration of America said, "Our therapist would never approve a client to have an alligator as an emotional support animal. " 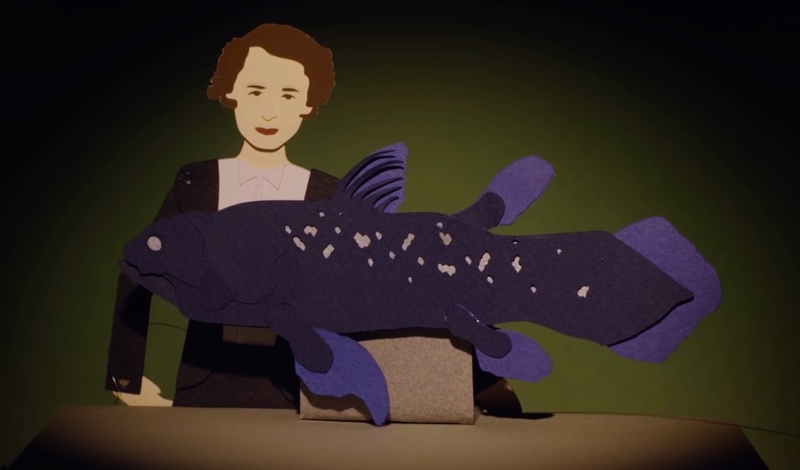 Known as a "living fossil," the coelacanth is an order of fish thought to have been extinct for 65 million years until one was caught in 1938 in a fisherman's net off the coast of South Africa and identified by museum curator Marjorie Courtenay-Latimer. This wonderful paper animation tells the story of the curious creature and its rediscovery. 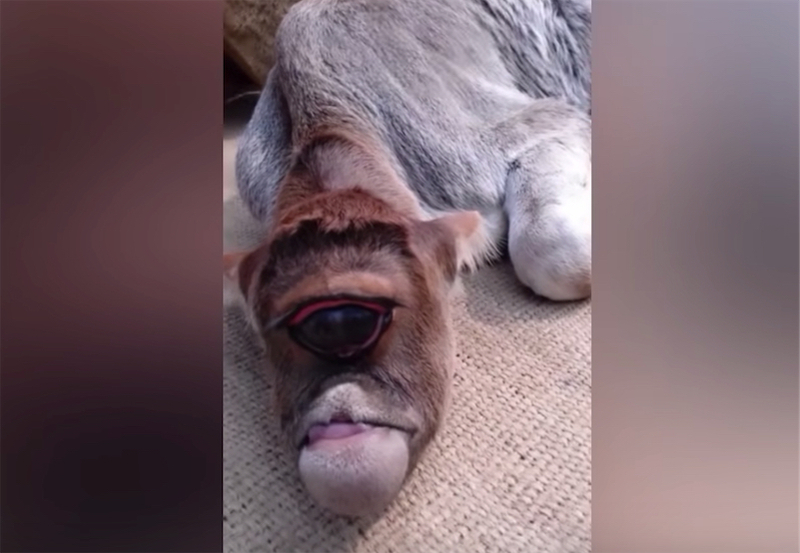 A cow born with just one eye and no real nose was recently born in Bardhaman, West Bengal, India. According to, er, The Sun, a local source said that "Ever since the calf was born, the people have crowded to see it. They are now considering it to be a miracle of God and have started worshipping it. The cow had been discarded by its mother and the women are feeding the cow. The people think that worshipping the cow is going to bring luck and prosperity to the family of whoever worships it." 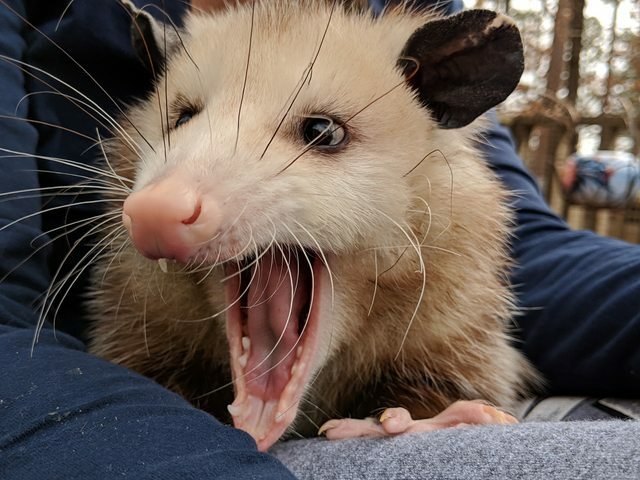 The animal appears to suffer from cyclopia, a rare "congenital disorder (birth defect) characterized by the failure of the embryonic prosencephalon to properly divide the orbits of the eye into two cavities. Its incidence is 1 in 16,000 in born animals and 1 in 250 in embryos," according to the Brain Catalogue. 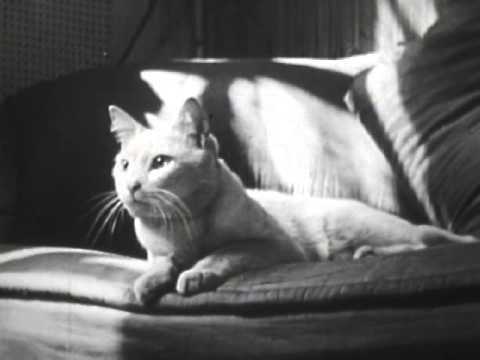 Not a one of these pooches can deal with a disembodied kitty head appearing on their turf. 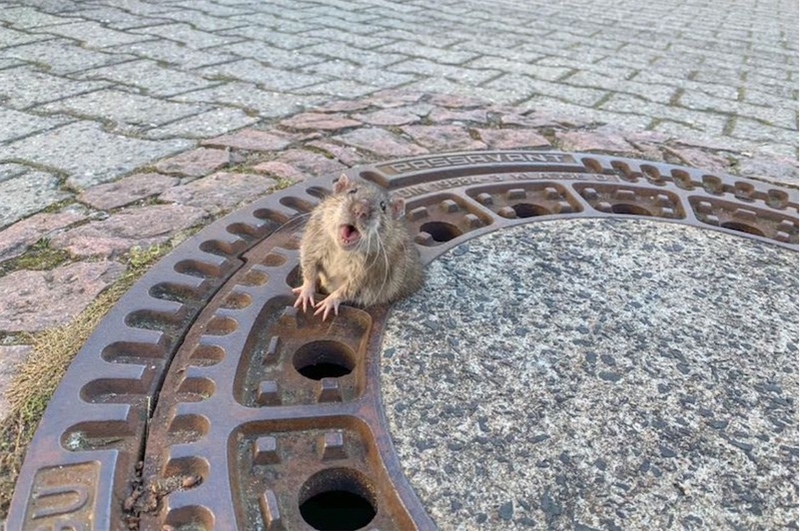 Maybe it's the size of the cat that it must have come from that spooks them. 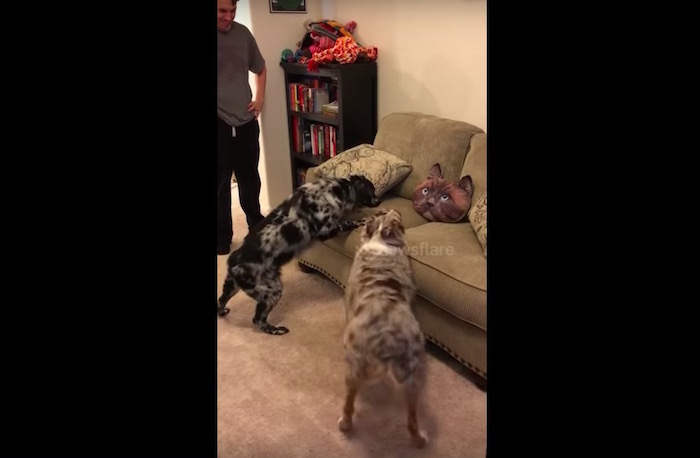 Maybe it's the way that the pillow's eyes follow them around the living room. It's a clear and present danger to everything the mutts believe in. 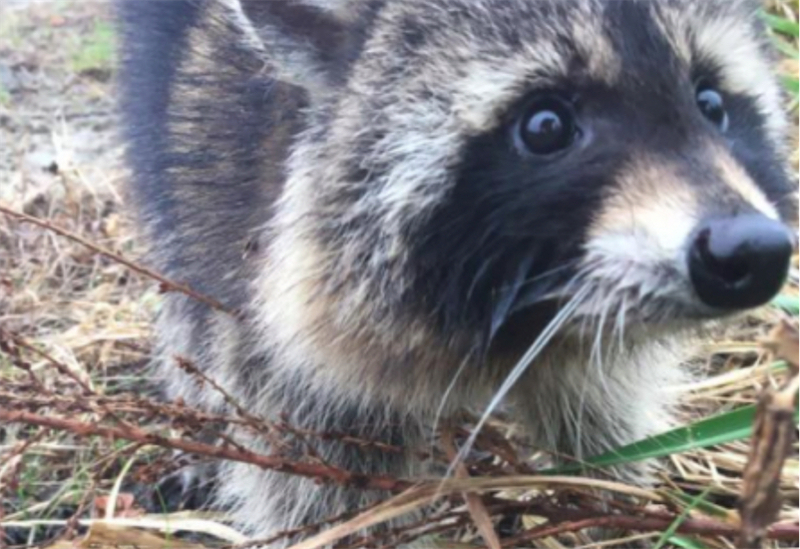 It wouldn’t be the first time an animal has made the headlines for public intoxication. In 2015, footage of a squirrel seemingly drunk on fermented crab apples hit YouTube—and attracted millions of views. 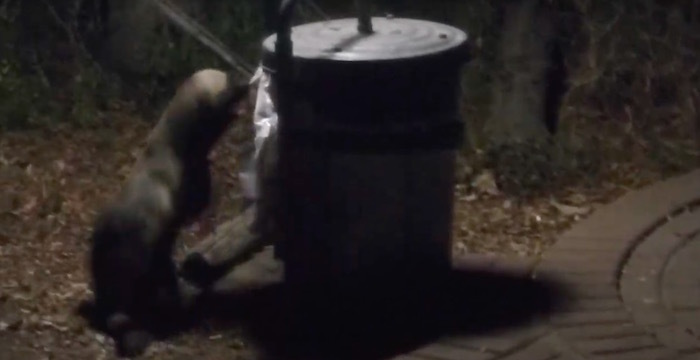 National Geographic has previously captured footage of drunken monkeys.